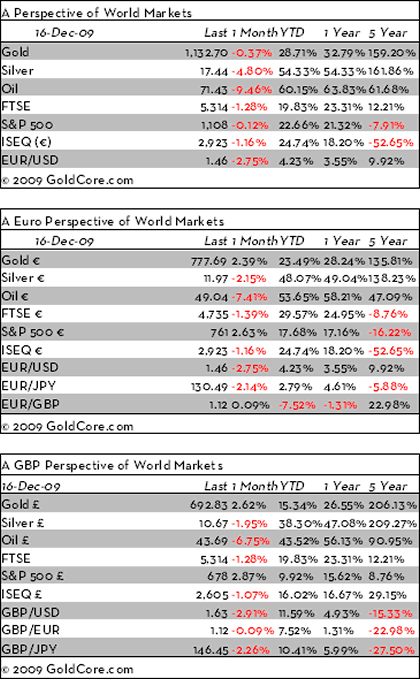 Gold and silver were largely unchanged yesterday. Gold is currently trading $3 higher at $1,134/oz due to dollar weakness ahead of the FOMC meeting later. In euro and GBP terms gold is trading at €778/oz and £694/oz. Support for gold is currently seen at $1,113/oz and resistance at $1,149/oz. 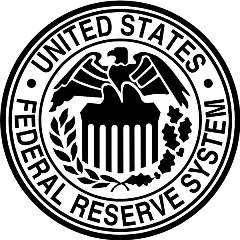 Traders await the FOMC rate decision and statement this afternoon which will likely be the primary driver of the markets today. It is expected that the FOMC will hold the key short-term federal-funds rate within a record low range of 0% to 0.25%, where it has been since December 2008. Continuing record low interest rates are the primary reason that gold has yet to reach the bubble phase. In the 1970s, interest rates had to be increased to well into the double digits prior to the gold bubble bursting. US equities fell on Tuesday as a climb in producer prices raised inflation concerns. Expectations are that the CPI data may be higher than expected after the stronger than expected PPI data and this should support gold. Bernanke's view and the consensus amongst analysts is that the recovery is very fragile and thus the stagflation scenario of runaway prices and higher interest rates remains unlikely at this time. The same consensus believed that the US property market was not in a bubble and that the subprime market was contained and would not affect the banking system and wider economy. As ever it is best not to try and predict the future for the economy or to predict the future price movements of asset classes. Investments can fall as well as rise and given the degree of economic uncertainty in the world, it remains prudent to have an allocation to gold (and to the other precious metals). Silver is trading at $17.52/oz and continues to take its direction from gold. In euro and GBP terms, silver is trading at €12.03/oz and £10.72/oz. Platinum is trading at $1,446/oz while rhodium and palladium are trading at $2,100/oz and $366/oz respectively. 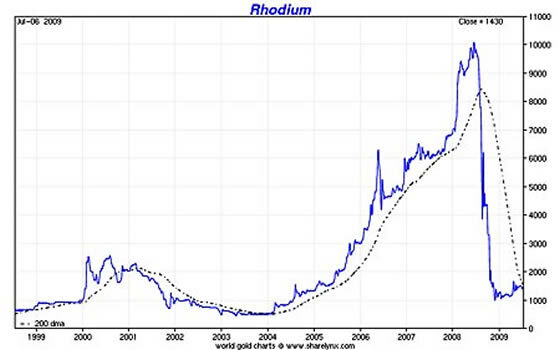 Rhodium's fundamentals remain very sound and a return to prices above $3,000 an ounce looks likely in 2010. Even at $3,000/oz, rhodium would be 70% below its recent record high price (http://www.moneyweek.com/investments/precious-metals-and-gems/investing-in-commodities-precious-metals-rhodium-93413.aspx).